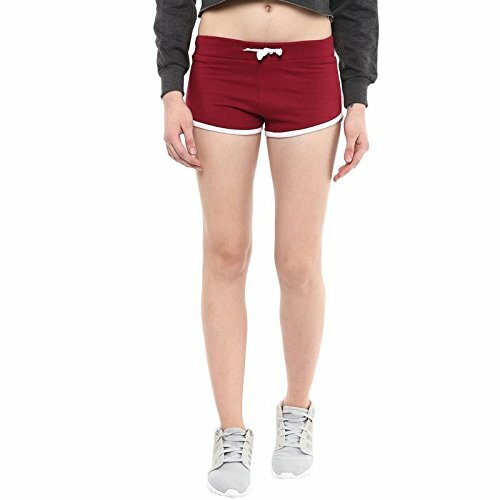 Griffel Women’s Solid Fleece shorts is perfect for Those who are looking for quality products for winters and are also fashion freak. The Fitting of the shorts is very comfortable which is perfect while you lay down back at home binge-watching on Netflix all your favourite episodes.This shorts is made out of best fabrics available in market to provide our customers with best quality clothing. This shorts is unique in its own in terms of high quality accessories used. The thread used in stitching the fabric is best brand available in India.The fabric is very comfortable which makes the garment easy to use as Casual wear .We use standard sizes as any other international brands so that it doesn’t come small in your package. Our packaging material is also very high quality so the garment reaches perfectly to you. The colours of the Shorts makes it perfect for those who wanna look bold out there.